Spiritual warfare is a basic reality of life in Christ, yet a reality many Christians are daunted by, and even in some degree – in denial about. I will not attempt to sugar-coat this heavy aspect of the Faith, but I will endeavor to display how we may be genuinely victorious in our spiritual battles; and who better to learn from than the greatest spiritual warrior of all – Jesus Christ. When the saints are equipped and built-up unto maturity in Christ, then we shift from being confused and dismayed -to- being grounded and triumphant (Ephesians 4:11-16). Coming to the measure of the stature of the fullness of Christ will give us the upper-hand to overcome our adversary, while gaining greater integrity of faith in God. The second front listed seems to be the most neglected, as many tend to believe that all they really need to know is God. However, while knowing God is of paramount importance, we see many warnings and instructions from Christ & the Apostles about the schemes of Satan, and a major part of the Revelation of Jesus Christ is the revelation of antichrist. “… his angels were cast out with him.” – those angels being of the same rebellion as that cunning serpent of old – would logically be also likened to serpents. The cunning of demons is obviously what Jesus was referring to. In other words, to be as cunning as devil’s. And not just having comparable wisdom as such (which we can only obtain from God), but to know their game; to know their strategies, to know the nature of our opponent. ‘To know thy enemy’ is fundamental to warfare, and with such intel, we are equipped to be much more formidable disciples of Christ. While we are to rival the cunning of demons with the resources we have in Christ, our integrity is to be kept in tact. “The end justify’s the means” philosophy has no place in the strategy of a Christian, rather, our innocence is to be likened to a dove. Again the choice of symbolism here is revealing, as the dove is representative of the Spirit of God (Luke 3:22), so we are to manifest the fruit of the Spirit – love, joy, peace, patience, kindness, goodness, faithfulness, gentleness, self-control – (Galatians 5:22) all while being as cunning as demons. The Gospel accounts of Messiah’s ministry documents various encounters Jesus had with demonic spirits (Luke 4:33-34 & 41, 8:26-28). In these types of instances, we see Jesus in a position of power and authority in which the demons were at His mercy. Yet there were two incidents that actually presented a real challenge for Christ – one at the beginning of His ministry and especially the other at the end. 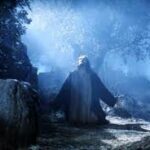 The greater challenge was at the end of Christ’s ministry in the garden of Gethsemane, which was His last chance to opt out from His mortal mission to the cross. I believe this is where the greatest spiritual battle in all of redemptive history took place, and Revelation 12:7-9 gives insight of the ensuing war taking place in heaven at about this time. There are many details which indicate how critical this moment was, which was recorded in all four Gospel accounts ~ Matthew 26:36-47 ~ Mark 14:32-43 ~ Luke 22:40-47 ~ John 18:1-3. In these accounts, there is no explicit details of demonic entities, but the main emphasis pertains to the weakness of the flesh, which is another element of spiritual warfare that works in conjunction with our adversary. We see Jesus experiencing the weakness of His flesh tested by the gravity of the battle, as He requests the support of His disciples. In distress of His impending tribulation, Jesus honestly reckons with the looming affliction and contemplates if there could possibly be another way to reconcile God and man – without having to drink of the cup of suffering at his doorstep. 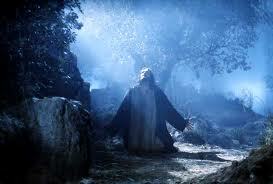 He is torn between the weakness of His flesh and obedience to the Father. No one in their right mind wants to suffer, not even the Son of God; yet He is willing to abide in the Fathers will to satiate justice. No doubt physical fatigue can be very overpowering, but obviously the disciples were also in a spiritual stupor as well. If they had truly realized the spiritual ramifications of this critical hour, a sense of urgency would have jolted them out of their fatigue. This may be easy for us to observe in this story, but O how, in our own circumstances, we often fail to recognize all the spiritual implications, and thus fall asleep. Not only does this passage reveal the refining effect of suffering, but also tells how such a Christ-like attitude equips us for battle. So even when Satan had destroyed their bodies, they were yet conquering him with the same mindset of Christ, who would be willing to suffer, even unto death! It has been this exact Christ-like attitude which has empowered the martyrs of Christ to be so bold and courageous in the face of death. Such an attitude creates nothing but a losing game for Satan and ultimate victory for the saints of God!